There’s a little bit of everything -- garage rock, country twang, art pop -- on the five songs that comprise Nothing’s Changed, a record showcasing the burgeoning collaboration between Justus Proffit and Jay Som. 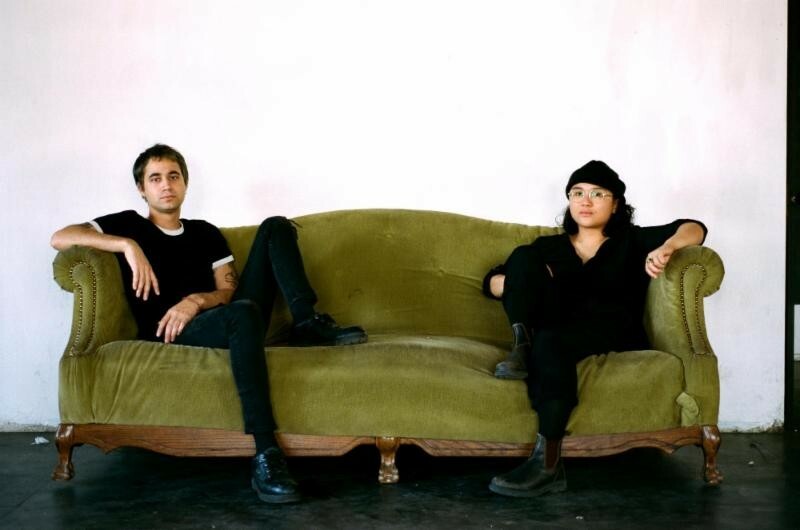 Following the release of her debut full-length as Jay Som (2017’s Everybody Works -- an album that landed on just about every “Best of” list imaginable) multi-instrumentalist Melina Duterte re-located from California’s Bay Area to Los Angeles, where she soon found a kindred spirit in rising singer-songwriter Justus Proffit. Though they had never played together before, when Proffit heard Duterte had moved to town, he reached out to see if she wanted to record a track for fun. With no real serious intentions, the two began by taking a riff, melody, or drum beat and then building around it whatever impulsive idea came to mind. Quickly, though, these ideas began to snowball, and before long the pair had several finished tracks that they were eager to share. Having recorded all her own material to-date, Duterte oversaw tracking and mixing in her home studio (in addition to playing bass and keyboard), while Proffit handled lyrics and drums. Together, they shared guitar and vocal duties.